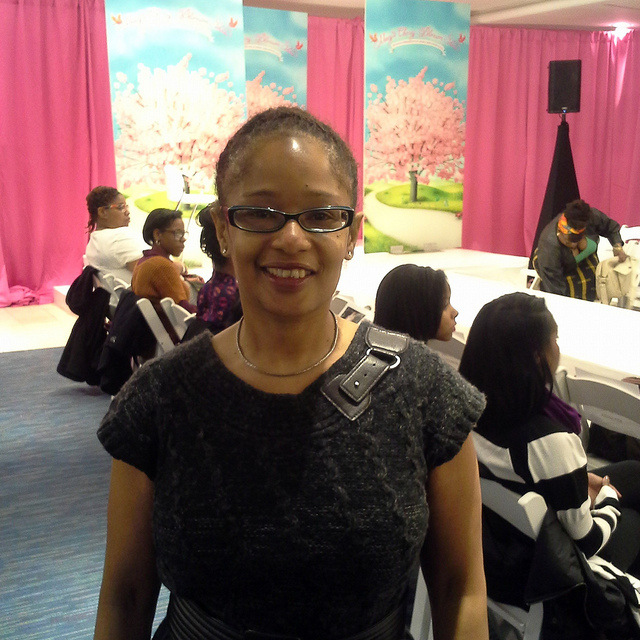 Since it’s Digital Sisterhood Wednesday, I thought I would share my lifestylista field trip highlights from the Spring Fashion Show I attended last week at Macy’s Metro Center in Washington, D.C. 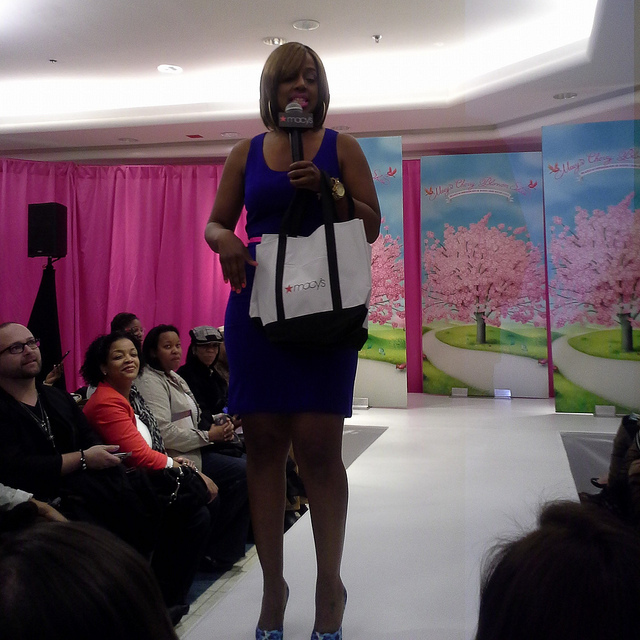 The Fashion Show featured style expert and author Daisy Lewellyn. 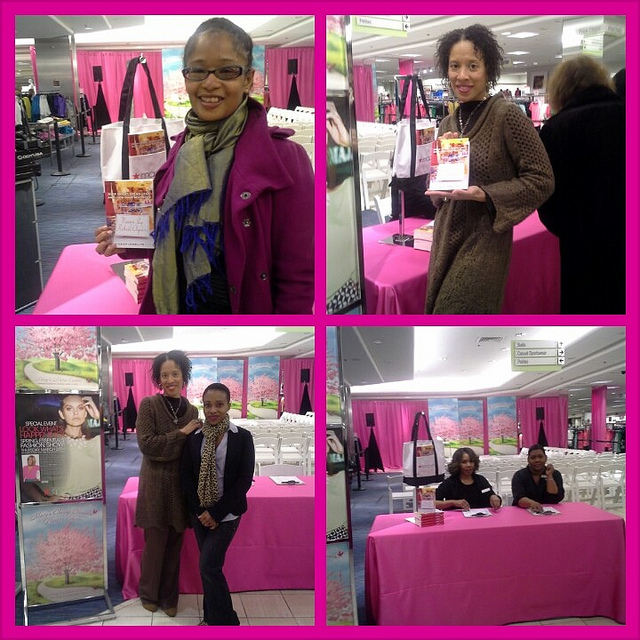 Before the show, I met up with my Blogalicious digital sisters, Xina Eiland and Jazzy Jones. We had a chance to reconnect and talk about our plans for the spring season. During the show, Daisy, the “Queen of Effortless Chic,” shared that she was a Howard University graduate (love that we are HU Bisons!) 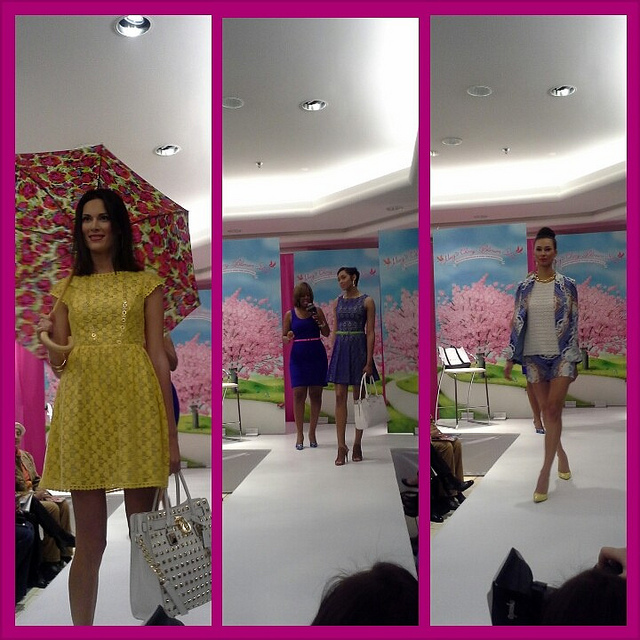 and gave five tips for Spring wardrobe essentials. Check out the photos and tips below. Peplums are big this spring! Tip #1 – Peplum: Daisy recommended that women add a peplum top or dress to their wardrobe. The top could be paired with a skirt or pants. I love peplums. I wore them a lot during the late 1980s! Lace is huge this spring! Tip #2 – Lace: Daisy encouraged women to wear colorful lace. I fell in love with the yellow lace dress. It reminded me of my Aunt Paulyne’s vintage 1960s peach lace dress I wore to my law school graduation at Howard University in the late 1980s. Pullover sweaters are key to a woman’s spring wardrobe this year! Tip #3 – Pullover Sweaters: Daisy suggested women incorporate pullover sweaters in their spring wardrobe. She used First Lady Michelle Obama’s sweater style as an example. I ADORE pullover sweaters especially the ones you can wear with a belt. 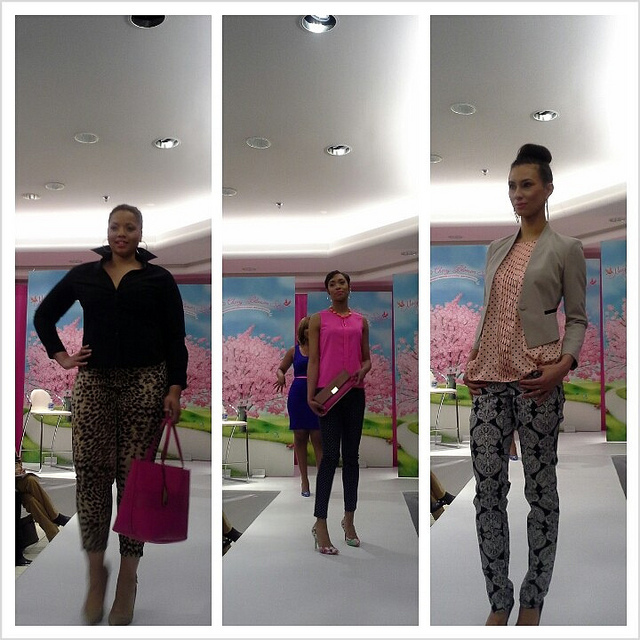 Printed pants are very in this spring! 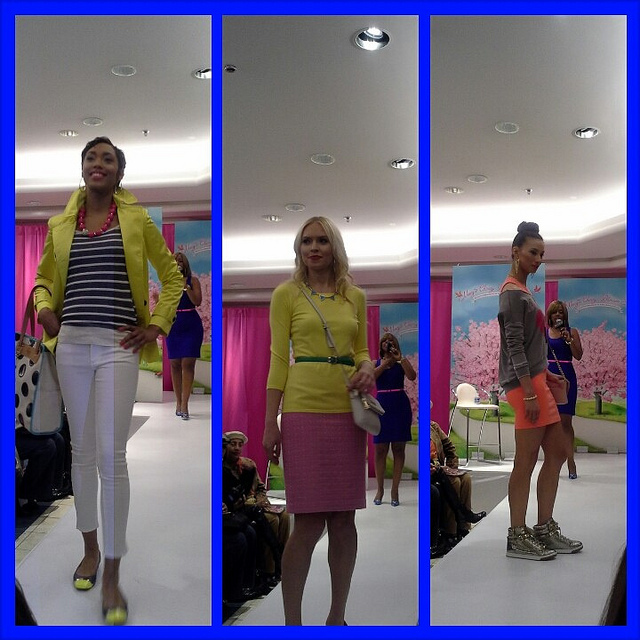 Tip #4 – Printed Pants: Daisy shared how women can add more color to their Spring wardrobe with printed pants. 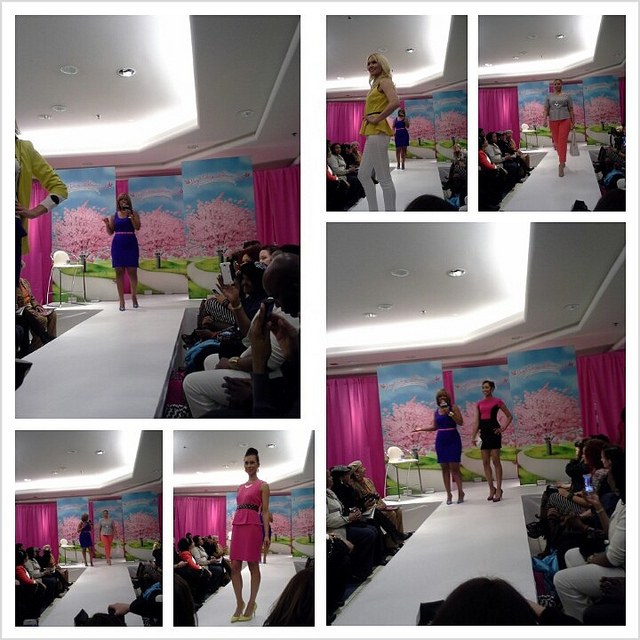 Dresses are hot this spring! Tip #5 – Dresses: Daisy talked about how dresses like the ones worn by First Lady Michelle Obama create a total look. I agree! What are your five Spring wardrobe essentials? DISCLAIMER: I am a member of the Everywhere Society and Everywhere provided me with compensation for this post about the Macy’s event. However, all thoughts and opinions expressed herein are my own.